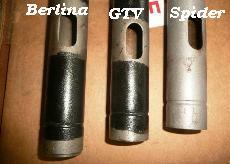 Three Burman shafts, three different lengths! Similarly, the sleeves/tubes are also different. 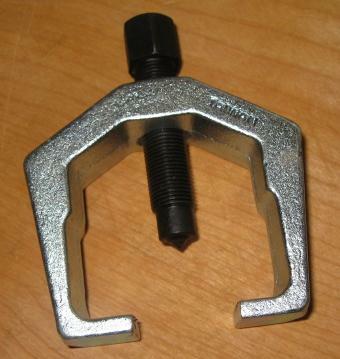 I get 620mm from the bottom of the mounting plate with 4 bolts to the top of the sleeve from a Spider/GTV.The long sleeve is 640mm or 20mm longer. When ordering a re-conditioned box complete unit, it is important to determine which type you need. 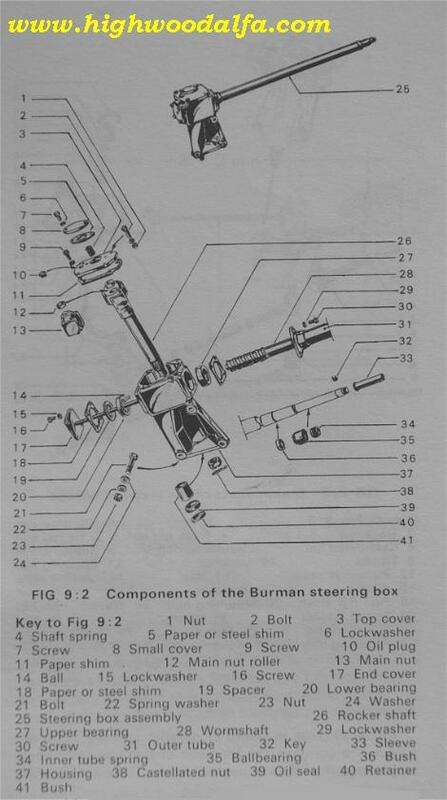 The worm gear end of the steering shaft is the same for all three - internally and externally, the Burman boxes are identical and interchangeable. But, the LHD is not interchangable with the RHD and vice versa. 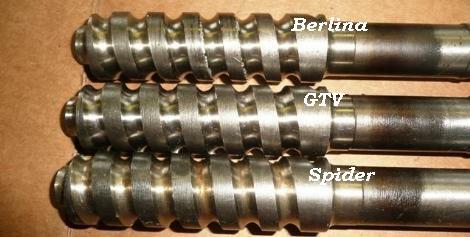 The threading is different.The short column should be 834mm. This is the crucial measure of the sleeve below. It is either 620mm or 640mm. Two good Pitman pullers that might help to pull. 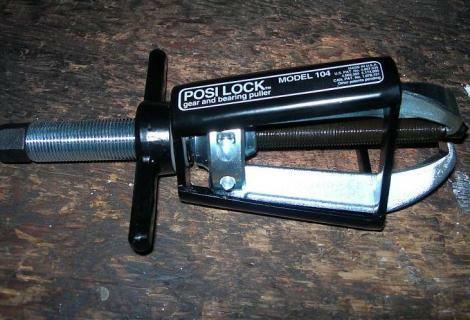 Your local machine shop should have them or similar ones. Yet another picture of what's inside the Burman box.